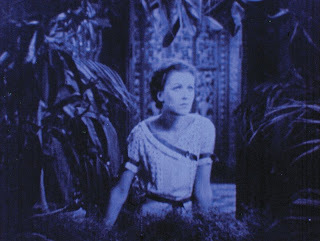 WIKI: Rose Hobart (1936) is a short, 19-minute experimental film created by the artist Joseph Cornell, who cut and re-edited the Hollywood film East of Borneo into one of America's most famous surrealist short films. Cornell was fascinated by the star of East of Borneo, an actress named Rose Hobart, and named his short film after her. The piece consists of snippets from East of Borneo combined with shots from a documentary of an eclipse.